Mike leads ONE Global Design in managing growth, communications and market influence, as well as partner relationships and opportunities. Mike has extensive experience in the design and architectural media industry, and for 12+ years as the Publisher of interiors+sources Magazine. Mike also was named Publishing Director of the American Society of Interior Designers (ASID) magazine, i+D. He has served on several design industry boards, including NCIDQ and The Green Standard. With 37 years of field experience, Suzanne leads ONE Global Design with a keen understanding of how to meet business objectives through design. One of her most honored accomplishments was being selected as one of 24 design professionals by the Dwight D. Eisenhower People to People Program to provide business coaching and exchange with 20 Chinese design and architecture companies in mainland China. President and CEO of Meyer since 1983, Norm has led the firm to become one of the top 200 corporate architecture and design firms in the country. His career in international sales and marketing management for Fortune 200 companies and other clients brings a viewpoint not typically associated with commercial design. With experience covering a broad range of project types including commercial interiors, adaptive reuse and retrofit, new construction and custom single-family residential, Eric leads the Design Team at FORGE. Prior to FORGE, he ran his own architectural practice for 14 years. 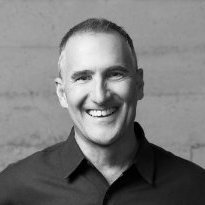 His notable clients and projects include Charles Schwab, PIXAR Animation and Peet’s Coffee & Tea. Principal-in-charge at Hendrick, Inc., a Top 10 Interior Design Firm in Atlanta. Jennifer's ability to balance project schedules and budgets, multiple team members, and overall project goals and objectives distinguishes her as an innovator and has set a firm standard for client service. The President of Wolcott, AJ brings extensive construction experience to his architectural practice. His clients include the International Cinematographers Guild and LA Center Studios; he leads business development at Wolcott, achieving a growth rate of more than 20% for the past five years. Gabe brings a focus on workplace and specialty projects to his role at New York’s Design Republic. As Business Manager he provides overall business, financial management, branding and marketing strategy, organizational leadership and cultural direction for the firm — also bringing these talents to ONE Global Design. 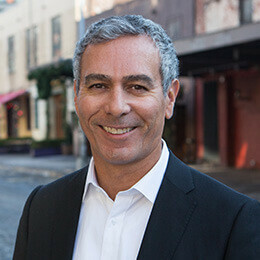 Brad serves as Progressive AE’s president and chief executive officer, providing strategic vision for the overall well-being and growth of the firm. He possesses a forward-thinking philosophy that spaces are strategic contributors, not static places. 18 principal-led design firms across North and Central America, working as ONE.